In the end I went for this absolutely beastly set-up with a custom made laptop. Hopefully it will last a long time at just over £2k. My last laptop lasted 4 and a half years and still works fine (donating it to a family member), so I look after them pretty well. My old i7-3630QM 2,4GHz ran 10 leagues reasonably well with 8GB ram so can't wait to see how this runs. Can't wait for FM18. Finally buying a new laptop this week. 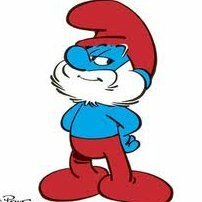 @Smurf will that be good? Hi Smuft, I must ask again as I have been reading some other FM-sites and most people says the FM-perfomance of a laptop comes down to the processor and not that much the graphics. And by that many claims that buying a full gaming laptop is kind of a waste , at least if you dont pay that much attention to the match days and 3d match engine. You said that HQ, or likewise, processors are preferred for gaming and given that there are not many laptops out there with those so I have to ask. If I set graphic settings to low and not focus that much about the matches itself (exclude of from the comparison), what would you say is the difference between, for example the HP Spectre and the HP Pavilion Power (linkes bellow), as they have pretty much the same spec except for the graphics. 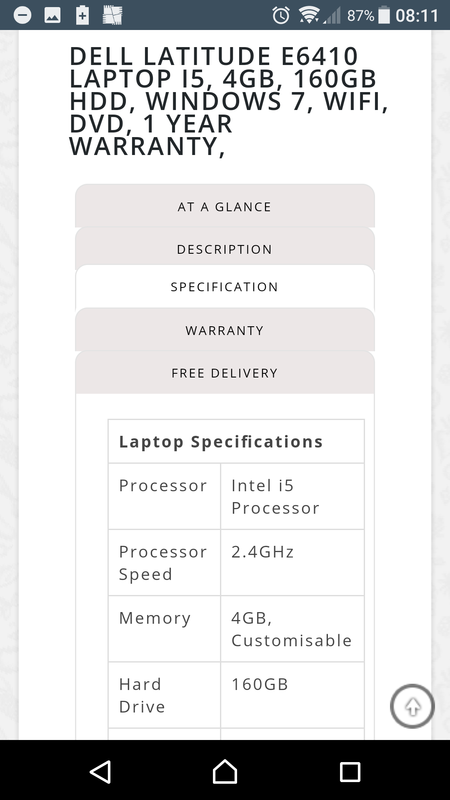 The same processor speed (2,5GHz), but the Pavilion has a HQ and the Spectre has a U processor. It seems like most people say that if you buy a laptop with a processor that is significantly faster the the requirements of the game (in this case 2,5GHz>2,2GHz) it would run pretty good for general FM-use (like top 5 nations in Europe+some south american leagues). You said that HQ, or likewise, processors are preferred for gaming and given that there are not many laptops out there with those so I have to ask. I'm not sure that's exactly what I said, and if it is what I said, then I am sorry, some things get mixed up in the heat of posting, or replying quickly, etc. What I mean is that a lot of budget laptops fall into the the U processor and the HQ processor - in these terms then the HQ is preferred for FM. If it was for another game I wouldn't be too hung up on the U vs HQ - but FM is an intensive processing game - so having a "U" processor is just not suited for FM. The 2 you post have different needs - one is 13 inch, ultraportable, that's why 13 inch laptops come mostly with U processors as off the plugged in it helps to preserve the battery when not plugged in. They're designed to use less power, to save on the battery, which in turn makes them less than desirable for FM. Any other use would be fine. I'm yet to find a 13 inch laptop that has a HQ or a K processor - I just don't think makers of portable 13 inch or smaller laptops would consider putting a battery draining processor into a computer where it's designed to be ultraportable. The 15 inch one is much better for FM - however, it's larger and possibly not suited for travel, or portability. I'm not a world authority on laptops/processor/computer parts or requirements for FM - I can only tell you what I know to be true in regards to what is better suited for Laptops for FM. If someone is posting a laptop that's not great for FM - I will actively look in the same price bracket for something better. The user then spends the amount they originally were going to spend - but gets a better computer for FM. Hehe, thank you so much for your time. It helps me a lot! I understand. The thing is that I've looked everywhere for a utraporable, but as you said it seems like they just dont make it. Thats why I've looked at some larger laptops that still seems "ok" to travel with. On the other hand. Is it possible to buy a cheap desktop that will outperform most of the £700-£1200 laptops? Or how much do I have to put into a ok desktop if I dont want to build it myself? I wouldn't be too confident of it's performance. Hi, this thread looks exactly like what I need. I thought with 8GB RAM and an i3 processor it would run the game fairly well. As the Beta isn't out yet for FM18 I decided to load up FM17 to see how the game runs. It said essentially if I loaded only the English leagues it would run at half a star speed. So I put it through CanYouRunIt I've got 128MB or Dedicated Video RAM whereas FM requires 256MB. 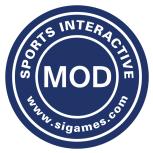 Having looked at a few other forums people seemed to be saying it would limit the graphics would be poor with not enough Video RAM but in the Preferences section of FM17 it says it'll be 4 star. 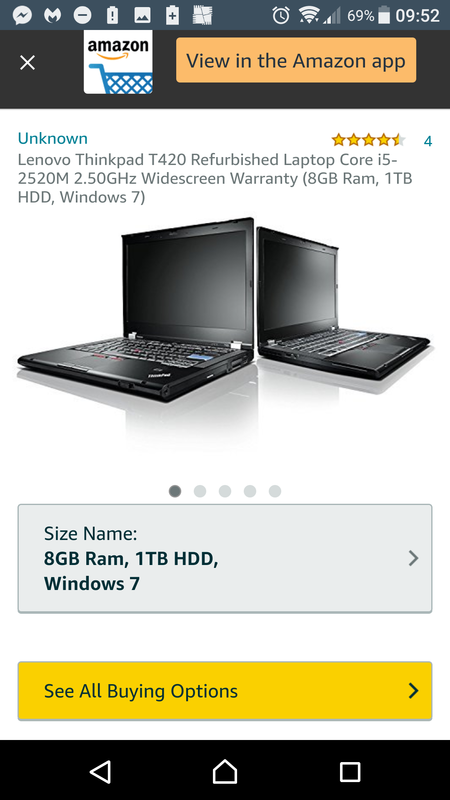 Is this laptop going to be able to properly play FM, and get 20 seasons deep or will it not? I loaded up a game quickly on it and it all seemed to work at a quick speed. I'd rather not return the laptop but I can if FM wont play at a reasonable speed. Thanks for the clear and concise reply. Any tips as to what I should look for in a laptop to have FM run quickly? Post any you find and I'll take a look. I presume you went for this one? my tablet has decided it doesn’t want to hold its charge anymore. So I am looking to get a laptop. The things is I want to go back to FM15 but don’t know where to start looking. I have around £300 max to spend. Unless I can get on that can run FM17 not interested in 3D so don’t need powerful graphics. this is my current laptop. runs fm17 perfectly well even though star rating shows only 1 or 2 stars with 14 nations and 40 leagues. my concern is are the graphic good enough for fm18. currently have graphics set to medium quality on fm17 without ever changing setting. The demo will be out shortly - can you wait? As nobody has access to the game to possibly know what the graphics would be like. sorry i have maybe not made clear what i was trying to ask. i was trying to ask if those graphics compare to any that are suggested for minimum requirements. not tech savvy when comes to graphics cards so wasn't understanding any of the attempted internet searches i tried. Hi Smurf, how would this do? It's within the specs for the game - so it should work. Again though - nobody really knows until it's released. How’s this for FM ? I thought i7 was one of the best? Its a U processor though so low power. No - that's not necssarily true - there's several types of i7 processors. There's not a huge difference performance wise from a i5 7300HQ and an i7 7700 HQ. Plus the one I linked to has a SSD. Do we need optical drives anymore? I can't remember the last time I inserted a DVD? I am looking at spending upto £850 for a new laptop. I currently have an ASUS ROG G551JM, however in 3d games it stutters a bit (Geforce GTX 860M). I've recently purchased an iMac (21.5inch screen) for work reasons and I'll probably play fm18 on it. can anyone share their experiences (good or bad) of playing FM on an iMac? Does it run ok, any issues with over-heating, etc. I'd like to run multiple leagues with a large database if possible. Also how have people found FM on a larger screen?! I've only ever played it on Windows laptops so would be interested to hear. Since Fm 2017 you can play the game on macs in 64 bit, which makes it faster and you can run more leagues on a good speed. I have a iMac 27 inch retina and tested it with loading ALL leagues. It worked, but with some lags during the weekends, when 90% of all matches are played. Hi, broke my old laptop a few months ago (definitely not because of FM) and now realised I desperately need a new one. Can only really afford one under £300. I know it's not going to get me much so just after one which can run two or three countries pretty quickly, not fussed at all about 3D matches. As far as I can tell this once seems like it fits the bill.. I can upgrade it to 8GB of Ram and £120GB SSD for around £250. Anyone know if it'll be fine to run it, or is there something obvious I've missed? Edited October 27, 2017 by RandomGuy. Completely depends on the spec of the Mac and how many leagues, divisions, and etc. Macs are severely underpowered for what you pay for - but if it's for work reasons - then I completely understand. I'm finding it next to impossible to find any information on the model number of the processor in the iMac 21.5 inch. On that basis go for the most expensive one with a graphics - if work are paying for it. Impossible to tell - as above, it doesn't specify what type of i5 processor it is. 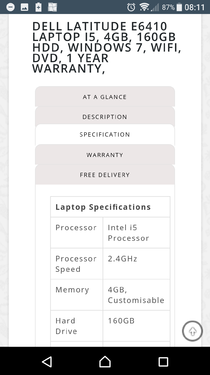 I couldn't find a more indepth analysis of the processor at all, that makes me very wary of that site tbh. Been recommended this one by a friend.. If your budget is only £300 the I don't think you'll find much better. Cheers, can get Windows 10 on that first one for £220 it seems, so might just stay with that one to save a few pennies, unless the one you've linked has a large advantage over it? Yeh but it's a slightly older processor - the one I linked to has a 3rd generation processor (we're on gen 8 now) the one you linked to was a gen 2.